Potential Short Sale! Great little estate on almost half an acre (0.45). Part of the home was converted into a separate suite. 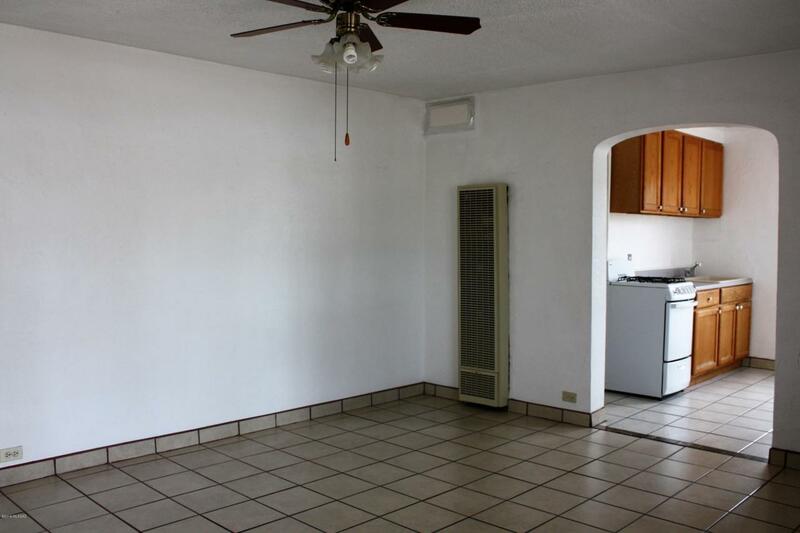 The Larger Unit offers a Living Room, Den, eat-in Kitchen, 2 Bedrooms, Laundry Room & 1 bath. 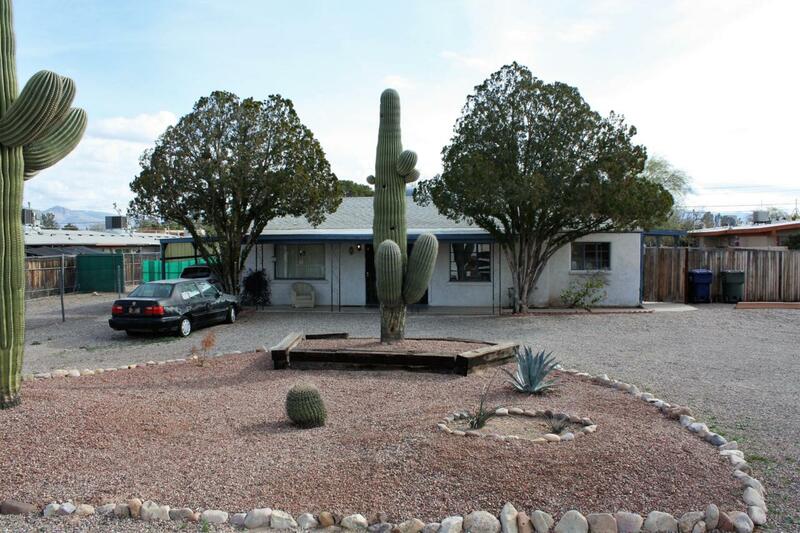 It also has a small yard on the north & east side. 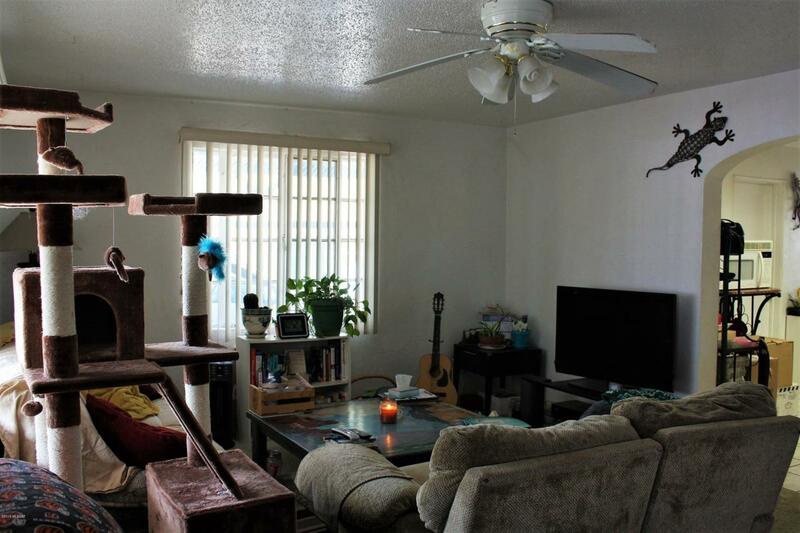 The Smaller Unit has a Living Room, eat-in Kitchen, 1 Bedroom & 1 Bath. The smaller unit has a fenced yard. Flexible-use structure built in 1951 is located behind the gate at the rear of the property. The Structure adjacent to the Pool was used as a Pool Cabana to entertain. Workshop has separate 220 service to the property. The 2 units have newer Evap Coolers. Cabana has AC. 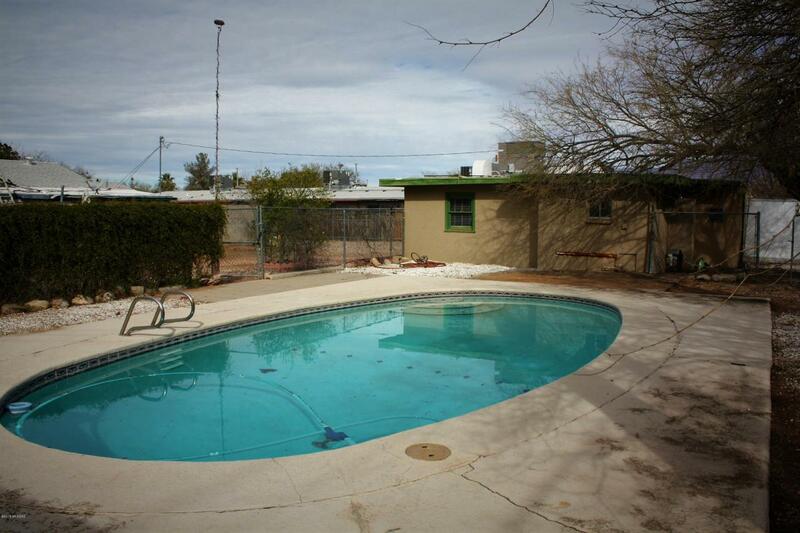 Central location has easy access to most areas in town such as Downtown, Airports, University!